In 1993, Ms Tiwari started her career at Emerald Heights School as Maths and Physics teacher. 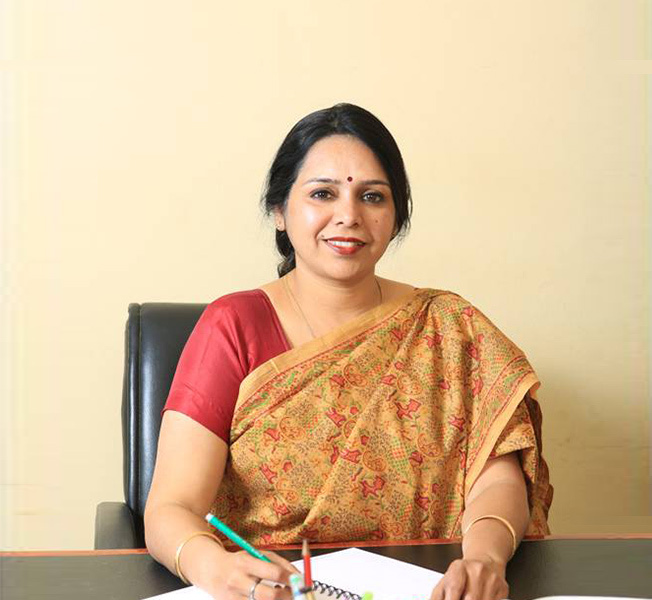 Subsequently, she joined Choithram School in 1998, South campus and was soon promoted to the senior school In-charge of Choithram School, North Campus. She later gained experience as Vice Principal and Founder Principal at Annie Besant School and Modern International School respectively. Her last engagement was as the Principal of Raghuwansh Public School, a well-known residential, co-ed, CBSE school with 1800 students. In her career, Mrs. Lalima Tiwari has taken and delivered a plethora of professional development programmes ranging from school leadership to adolescence education, learning to learn, teacher orientation, career counselling and effective teaching, etc. Education qualifications: M.Sc. (Physics) and MBA (HR & Marketing), both from Devi Ahilya Vishvavidyalaya, Indore; B.Sc. (Physics, Chemistry and Mathematics) and B.Ed., both from Pt. Ravi Shankar University, Raipur. Indus World School, Chhawani is also referred to as the central campus of Indus World School, Indore. The school is located in the heart of the city, just off South Tukoganj. Indus World School, Chhawani campus is over 2 acres land and well designed and fully functional building block. There are facilities like skating rink, tennis courts and play areas at the school. We also have well equipped science, digital and other laboratories for our students and teachers to conduct experiments and innovate following our learning-by-doing methodology. Our campus is equipped with CCTV cameras to ensure safety and security of all our students and staff.